Irina Lackicevic is proof that your day job shouldn’t define you; rather, it should be your passion. A dentist by day, Irina indulges her love of fashion, photography and styling on her increasingly popular blog A Portable Package. 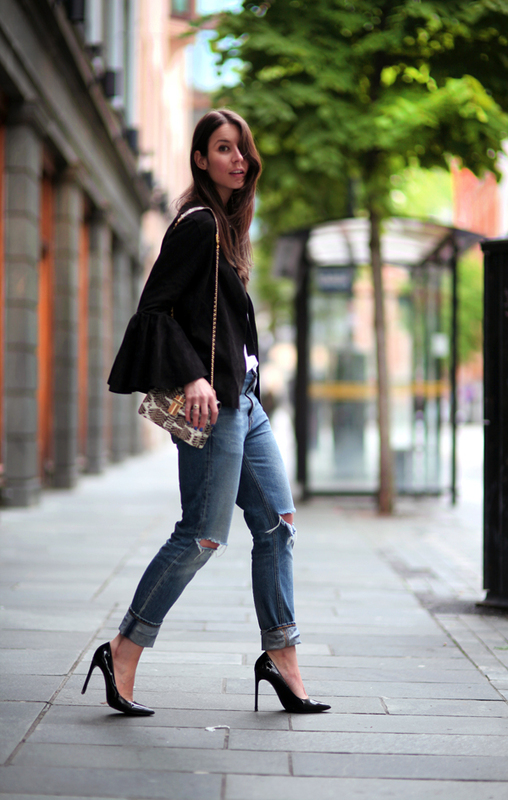 She is a regular at the European fashion weeks and has become a street style snapper’s favourite. You can pore over every fashion magazine there is, and be an expert in the latest trends and designers but many few possess that quality that is innate and simply cannot be learnt; that being effortless style. Irina is one of these lucky few; her outfits exude a chic nonchalance that is near impossible to imitate. You can see from her press page here just how great her personal style is! And we really believe this girl is the ‘Queen of Layering’! That’s why we were so happy to see our Snakeskin Samaya Mini bag featured on A Portable Package, adding that finishing touch to Irina’s gorgeous look of ripped jeans, perfect ‘casual’ white t-shirt and patent heels. Check out Irina’s blog at www.portablepackage.com. 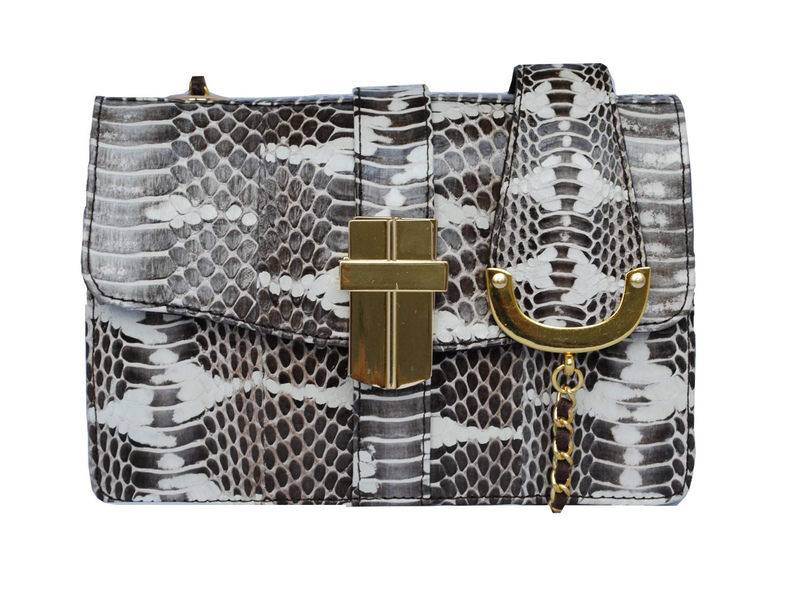 To purchase the Samaya Mini Box bag in Whipsnake leather please visit our online shop www.angeljackson.co.uk or contact info@angeljackson.co.uk for more information. This Handbag is made to order and delivery will take around 2 weeks from point of purchase. Chain & Snakeskin Strap: Length 38″ / 100 cm approx. Measures (W.H): 24 cm x 17 cm approx. Love. That’s my favorite style mixing balck, white and denim together.